These videos are FREE to view online. Which matters more in your workplace? Being there and looking busy? Or getting results? Sue Cook shows how flexible working helps people and the organisations they work for, and introduces some alternatives to the ‘9 to 5’ norm. 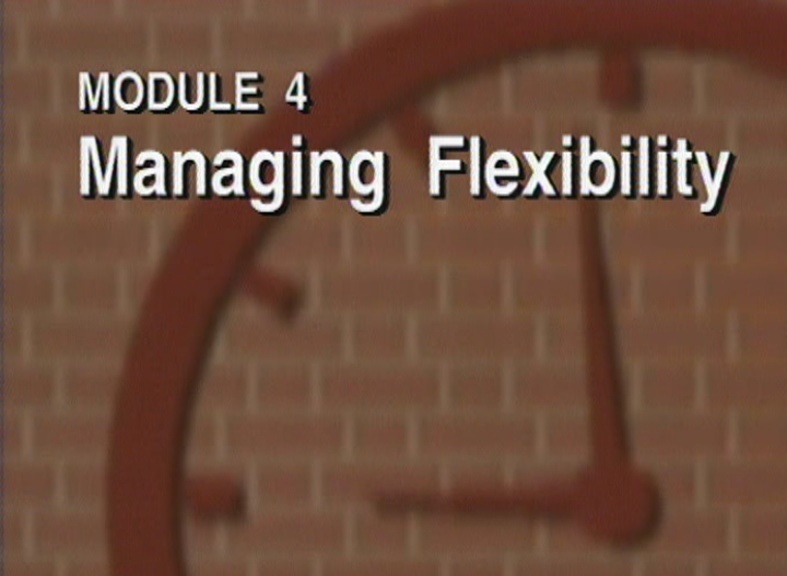 And there are practical steps for managers and individuals to plan, achieve and manage the flexibility they need. 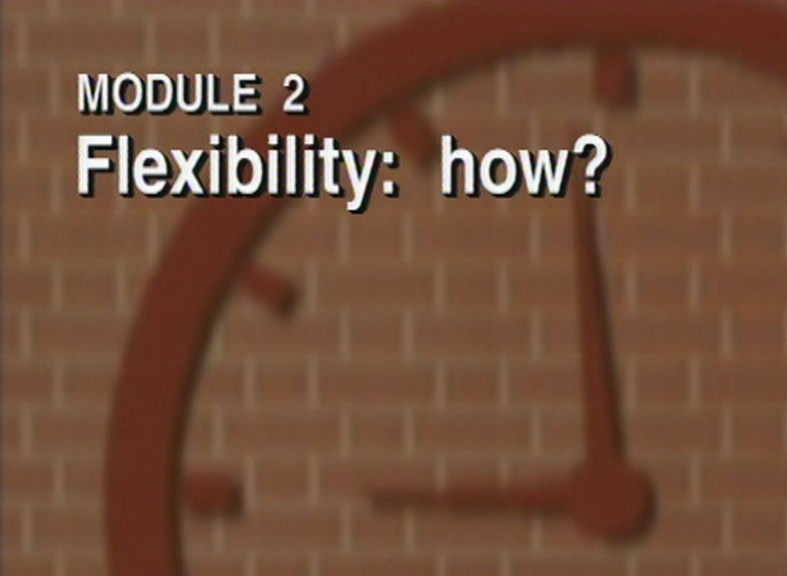 MODULE 1 (12 mins) Flexibility: why? People suffer and their work suffers when productivity is measured by merely ‘being there’. Many people will recognise themselves or their workplace in this drama scene, showing what goes wrong for staff and the employer in the absence of flexibility. 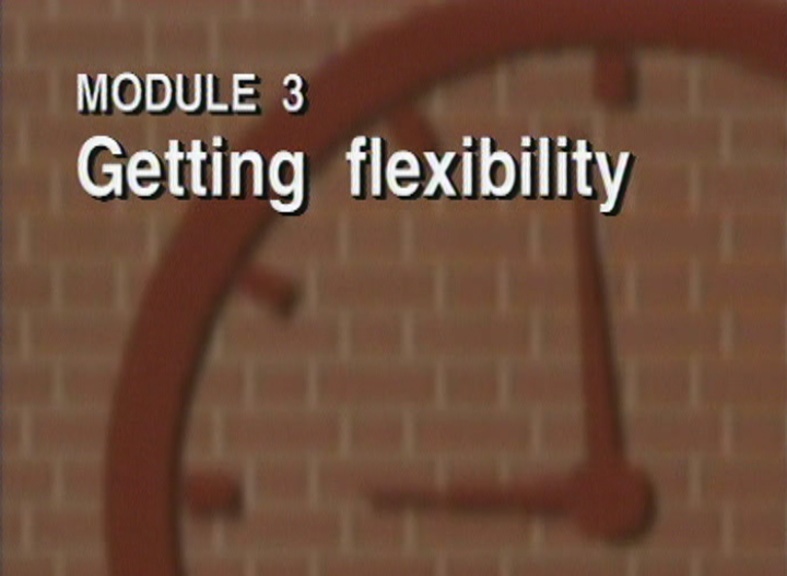 MODULE 2 (21 mins) Flexibility: how? Real examples of flexible working from Barclays Bank, Hertfordshire County Council, the BBC World Service and University College London Hospitals Trust show what can be achieved, and who benefits. Jobsharing, reduced hours and working from home are shown. To get the flexibility you need in working patterns, hours or place, you have to know how to ask for it, and be clear exactly what you are asking for. Consider its impact on you, your colleagues and your manager. There may be alternatives: be ready to compromise! Introduce flexible working on a planned basis after involving the team. Use innovative ways to manage it: communicate, have clear measures for managing performance, trust staff. Responsibility for making it work should be shared between managers and staff.